Giving at LUX is simple and secure. Whether you'd like to give a single gift or schedule ongoing giving, look below to get started. Thank you for living generously. 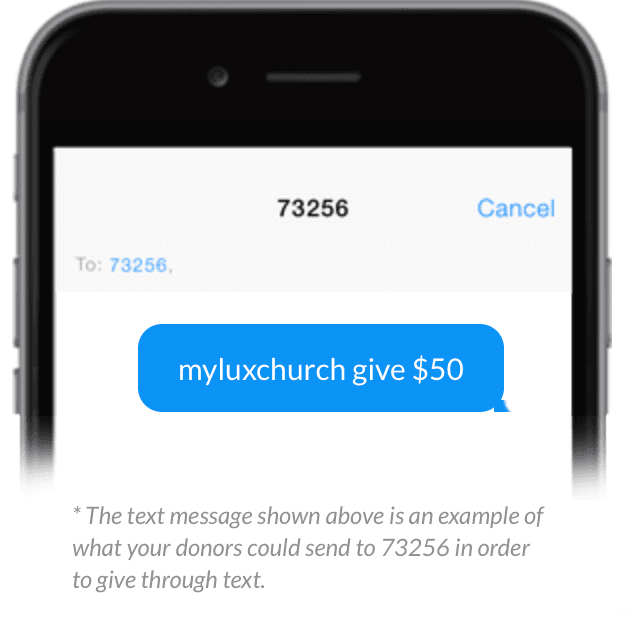 Text myluxchurch give $50 to 73256 to give to Tithe using your text messaging. *Standard text message rates do apply.